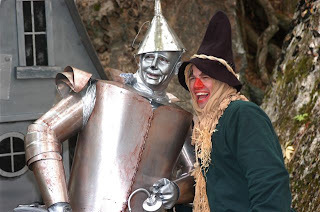 BEECH MOUNTAIN NEWS: No Place Like Beech Mountain for Autumn at Oz - This Weekend!! No Place Like Beech Mountain for Autumn at Oz - This Weekend!! 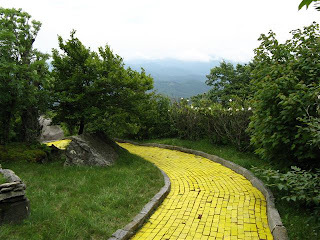 There’s no place like Beech Mountain the first weekend of October as the old Land of Oz theme park comes to life for the Autumn at Oz celebration. This year’s 16th annual celebration takes place Oct. 3-4 and coincides with the 70th anniversary of the Wizard of Oz movie, released in 1939. Over the years, Autumn at Oz has grown from a small reunion of former employees to a celebration that draws folks from near and far for a nostalgic stroll along the yellow brick road that was the centerpiece of the popular theme park during the 1970s. 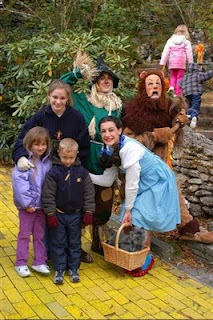 Autumn at Oz begins with a hayride or shuttle ride from the Town of Beech Mountain up to the enchanted forest. Once there, attendees are treated to live music, a tour of Dorothy’s House, a mini Oz museum, magic shows and face painting. 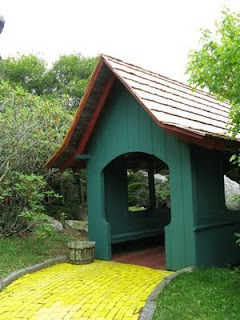 The highlight for many is the panoramic view from the Judy Garland Memorial Overlook Gazebo and a leisurely stroll along the yellow brick road, which consists of 44,000 yellow bricks. A host of characters are on hand, including: Dorothy, Toto, Professor Marvel, Auntie Em, Uncle Henry, Glinda the Good Witch, Munchkins, the Scarecrow, Tin Man and Cowardly Lion. The Wicked Witch of the West makes a visit with her Winkie guards and flying monkeys. Vendors provide plenty of food, treats, souvenirs and Oz memorabilia, while scenic chairlift rides are available, weather permitting. Autumn at Oz hours are 10 a.m. to 5 p.m. each day. Tickets are $15 per person and include discount coupons for nearby Grandfather Mountain and lodging specials on the mountain. For information, call (800) 468-5506 or visit http://www.beechmtn.com/.